I had heard The Moldy Peaches song on a compilation from my friend Darian years ago, only to find that Kimya Dawson and Adam Green of the Moldy Peaches have just become instantly famous from that music recorded 10 years ago which was recently placed in the movie JUNO's soundtrack. 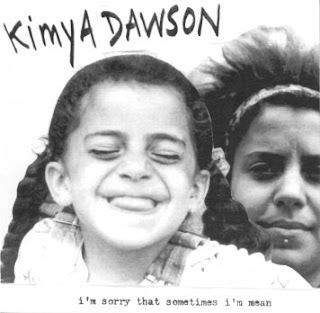 I find Kimya Dawson's music is fun, disturbing and fantastic! My favorite song of Kimya's is "I like Giants" off of her newest CD "Remember I love you". GOOD NEWS! I am going to NYC for the Antifolk festival this August, and will be catching Kimya, along with many other antifolkers! I will share more on my path to visit auntie folk, and her friends soon!